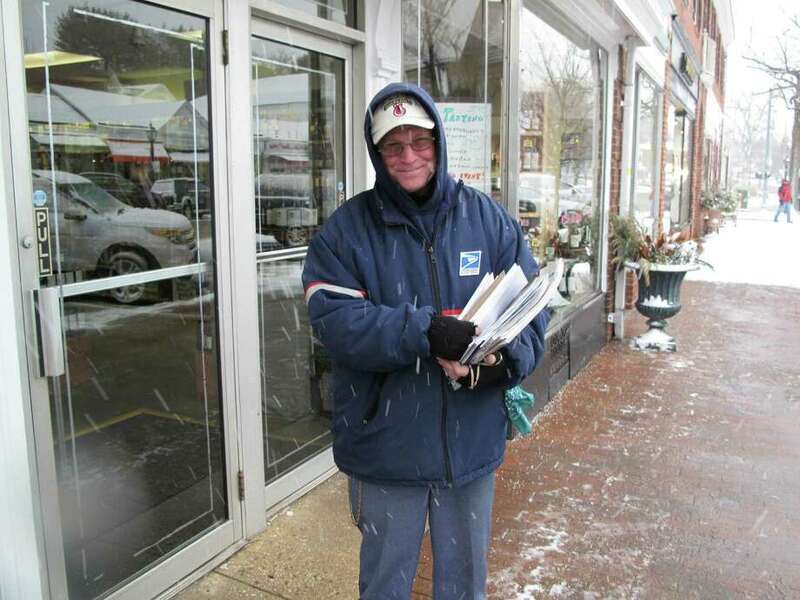 Will Doran has been delivering mail for 27 years in New Canaan. He says cutting Saturday delivery service will make Mondays harder but has to be done. Feb. 8, 2013, New Canaan, Conn. The plan announced Feb. 6 by the United States Postal Service to eliminate Saturday mail delivery came as a shock to few, and drew mixed reactions from local residents, business owners and politicians. The plan to restrict Saturday deliveries would take effect Aug. 1 and would only affect first-class mail, which would be delivered Monday through Friday. Packages would continue to be delivered, as would Express Mail seven days a week. Post offices will remain open on Saturdays. U.S. Sen. Richard Blumenthal, D-Conn., believes changes can be made to the postal service to make it solvent and maintain Saturday service. "Speaking generally, I oppose eliminating delivery because of its impact on small businesses and families who depend on it," Blumenthal said in an interview. "Small businesses depend on Saturday delivery for their goods and services, as well as for other kinds of communication, so I think it will be an impediment and obstacle to their recovering from the recession and create jobs." Many agreed that some changes would have to be made. Will Doran has delivered mail in New Canaan for 27 years, and the plan came as no shock to him. "It means Monday is going to be a nightmare, but you've got to do what you've got to do to cut costs somehow," he said, while delivering mail on Elm Street during the beginning of the blizzard last weekend. New Canaan residents leaving the post office Tuesday explained their attachment to the institution, but not their surprise at changes. "I have been reading about the post office's deficits and just waiting to hear when Saturday would be struck from the schedule," said Beth Reifers, of New Canaan. "With more and more people using the Internet and competing forms of delivery, I'm not surprised. "I love the post office and I love the process of going because the people are very helpful and friendly," Reifers said. "It's sort of like a town square in another time. You see people and catch up on the news." Sally Ijams, head of the reference desk at the Darien Library, wasn't overly concerned about the possibility. "The effect will be minor at best," she said. Magazines normally delivered to the library on the weekend would be put out on Monday. The delivery change would noticeably affect Barron's, a weekly financial magazine that is delivered with the Saturday mail and is heavily read by library users, according to Ijams. One small-business owner did not anticipate a disruption from the plan. "We feel it will be a minor inconvenience," said Sheila Daley, owner of Barrett Bookstore in Darien. "We don't get any deliveries on Saturday; our books come in by UPS or FedEx." The problem the postal service faces is that it loses an astounding amount of money each day. "As we look to the coming year, we are on an unsustainable financial path," said Postmaster General Patrick Donahue in a statement. He said that discontinuing Saturday service would cut $2 billion annually from the service's deficit. "We are currently losing $25 million per day. We have defaulted on $11.1 billion in Treasury payments and exhausted our borrowing authority." Blumenthal's hope to save the service rested on a bill the U.S. Senate passed in April that he said would have prevented the postal service from needing to cut Saturday delivery. The 21st Century Postal Service Act of 2012 stipulated many reforms, including that the Retiree Health Benefit Fund could be funded at 80 percent, rather than fully. The bill was never introduced in the House of Representatives. Blumenthal said he hopes to pass another one through the Senate, and soon. "It isn't a matter of changing the pension, as much as changing the way the costs are paid," he said. "Right now, in effect, the costs have to be paid for all future pensions as if they were paid this year. It's an accounting reform, as well as a reform. There are also efficiencies in service that can be implemented. Others include stronger efficiencies in delivering mail, investing in equipment that would improve delivery." Christine Dugas, a USPS spokesman, said since 2006 there have been 193,000 positions eliminated across the country, none of which were career layoffs, meaning that as employees retired, the positions were eliminated or filled by other employees, not with new hires. "We are really good at dealing in reductions of employees through attrition," she said. With more than 31,000 post offices across the country, according to Dugas, the larger post establishments may see a larger effect than the smaller ones, she added. "We encourage the new 113th Congress to make postal reform an urgent priority, and to work steadily toward the quick passage of reform legislation," Donohue said in a statement. "Saturday service is only one branch of costs and should not be done in isolation," Blumenthal said. "Postal service needs to be addressed, no question."